Its October, the leaves are changing, the air is growing nippy and in observance of the Jewish holiday of Sukkot, the lulav and etrog are falling abundantly from the heavens. Pardon the literary license. The lulav (frond of the date palm) and etrog (fruit of the citron tree) are not literally falling, of course, and certainly not from the heavens. Rather  since date and citron trees are not exactly abundant in Colorado  these crucial elements of the proper observance of Sukkot are being shipped here, mostly from Israel but also from places like Egypt and Spain. If an informal survey of lulav and etrog providers in Denver gives any clue, they are being shipped in greater quantities than ever before. Whether due to increases in the local observant population, to successes of Jewish outreach programs, to a growing Reform fondness for Jewish tradition  or to better marketing the exotic commodities are becoming increasingly popular hereabouts. Once upon a time, there was only one address in town to find the lulav and etrog  Hillel Academy, which has been ordering and selling them in sets for decades, according to Joanne OConnor who currently handles that responsibility for the day school. This year, Hillel Academy sold a bit less than its usual 400 sets  only 330  but OConnor is convinced that this is due less to decreased demand than to increased local competition. She also concedes that due to financial hard times, some families that used to order three or more sets  a significant investment, considering that the better sets can cost more than $100  are now only ordering one. Still, five years ago, OConnor adds, Hillel was probably selling some 30% less than it is today. In addition, Hillel Academy is selling a handful of sets to Christians, some of whom use the lulav and etrog for the Feast of Tabernacles, a holiday based on Sukkot. Although the Orthodox remain the main customers at Hillel, a significant number are coming from Reform and Conservative congregations. Temple Sinai, for example, acquired the 10 or so sets it distributed this year from Hillel. Its a very nice thing to see the Reform movement wanting more traditional observance, OConnor says. IN recent years, a number of area synagogues have also gotten into the lulav and etrog business, and in a fairly substantial way. According to Gail Kessel, administrative assistant at the Hebrew Educational Alliance, the HEA sold nearly 70 sets this year. That figure reflects roughly a doubling of sales since the Conservative congregation first began selling sets some 11 years ago. Another major provider is BMH-BJ which, according to clergy assistant Della Jultak, has been selling some 55 sets annually for the four years the congregation has been involved in lulav-etrog sales. Some of those sets, she added, went to Temple Emanuel, which distributed them to their own members. Another provider seeing steady growth is the Lubavitch congregation Bais Menachem, says spiritual leader Rabbi Yisroel Engel, who sold close to 100 sets this Sukkot. There has always been an increase, by about 10 sets per year, says Rabbi Engel who has been handling lulav and etrog for about eight years. Because he doesnt wish to tread on other institutions territory, the rabbi says he has tried to keep a relatively low profile in the lulav-etrog trade, doing it mostly as a convenience for Bais Menachem members. But there are newcomers to the business, attracted by potential of lulav and etrog as an effective fundraising tool. Among them is the local chapter of Bnei Akiva, a religious Zionist youth group, which is selling sets this year for the first time. According to shaliach Hagai Shoham, Bnei Akiva moved some 145 sets for this Sukkot, selling them mostly to Orthodox Jews from the East and West Sides. The rise of such new competition, increasing sales by synagogues and those individual Jews who simply buy their own sets online might have something to do with the fact that Aharons Books is having what co-owner Chavah Brewer calls a horrible, horrible decrease in lulav-etrog sales this year. This years sales at Aharons are about 20 sets, down from the usual figure of 100. When the Judaica and book store began selling lulav-etrog sets in 1997, an annual figure of 150 sets was not unheard of. Which, as any business major knows, is a strong indicator of a growing market. 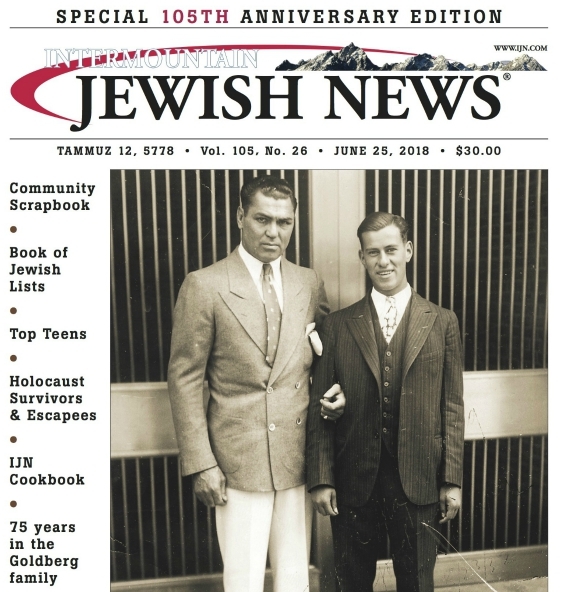 ALTHOUGH all the figures cited in this article are rough estimates and do not include sales online or on college campuses, this informal survey suggests that some 700 lulav-etrog sets  at the very least  were sold in the Denver Jewish community this Sukkot. Its a fair bet that there have probably never been that many lulavim and etrogim decorating sukkahs or waving in naanuim ceremonies in Denver ever before. On the other hand, considering that the Front Range Jewish community is said to include some 80,000 people, one has no choice but to call this a market with serious growth potential.